The Disney Parks Blog just announced that Anna, Elsa, Kristoff and everybody's favourite snowman Olaf will be coming to Mickey's Once Upon a Christmastime Parade at Mickey's Very Merry Christmas Party this year! They have also confirmed that Elsa will feature at Cinderella Castle, which will as always be turned into an ice palace - but presumably replacing Cinderella and the Fairy Godmother. At Disney's Hollywood Studios, the Frozen Sing-a-long which features Anna, Elsa and Kristoff will run through the holidays. We can't wait to see Olaf join the Disney character family this Christmas season! Although not holiday related, it's also been announced that Frozen will take over EPCOT's Maelstrom (Norway) attraction, and "will take our guests to Arendelle and immerse them in many of their favorite moments and music from the film." 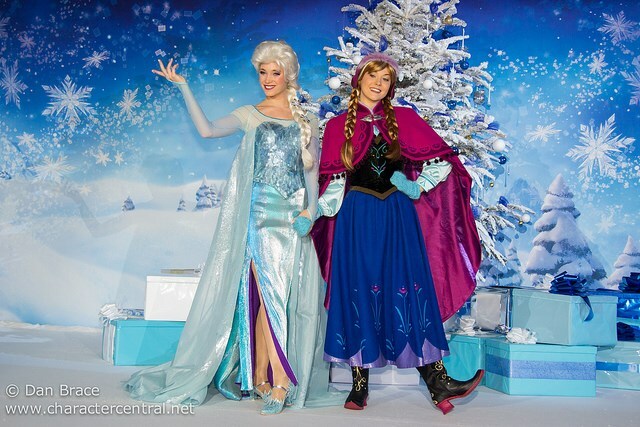 The Blog also confirmed that Anna and Elsa would greet guests at the Norway pavilion, too. Are you excited to see all these additions and changes at Walt Disney World for the holidays and beyond?